Looking to build your home in The Sanctuary? Zablo & Sons brings 40 years of home-building expertise to the table, including experience within development communities. We have already built multiple homes inside this beautiful setting. The Sanctuary provides a range of lifestyle choices. Whether you’re looking for a traditional home or the convenience of a maintained villa, there is something for everyone. With a beautiful clubhouse, pool and playground, several ponds, and a walking path that’s connected to the Stark Parks Trail System- the Sanctuary is truly a haven within the North Canton Community. 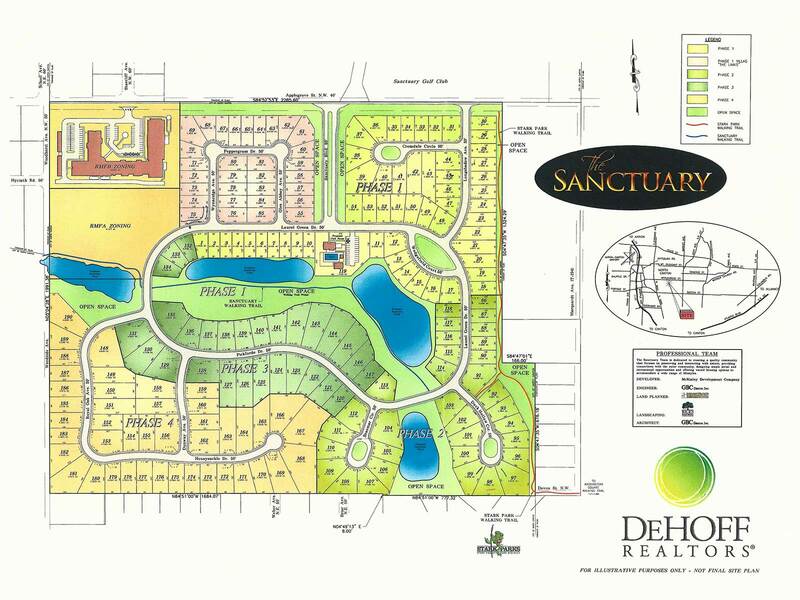 Phase one of The Sanctuary includes 54 homesites and Phase 2 consists of 32 home sites; there are approximately 20 of these homesites left. Phase 3 has 28 lots available. The Sanctuary amenities include a clubhouse, pool, and several walking paths. Located in the North Canton Local School District. If you are interested in building in the Sanctuary, Zablo & Sons is the builder for you. We will work with you to create the home of your dreams, whatever that dream may look like. We have experience building homes of every size and architectural style, always using authentic building methods combined with the latest industry practices to create a home you and your family can build a future in and enjoy for years to come. To learn more, please call Zablo & Sons at 330-494-8881.